New York has a lot of great steakhouses, but one of my all time favorites is Keen's on 36th Street. I recently had the pleasure of dining there again, and everything was just like I remembered it. As is standard, our meal started with raw carrots and celery, served with blue cheese dressing. Normally, I wouldn't consider this to be worth mentioning, but Keen's is the only place I've ever been to that de-veins their celery sticks. That might not sound like a big deal, but believe me, you'll appreciate it when you try it! We shared a few appetizers, including the lobster bisque and the crab cakes. The bisque was good, but I would've liked there to be a bit more lobstery-ness. The crab cakes were ok - they were definitely tasty, but there was a lot of filler and I like my crab cakes more on the crabby side. The meat is what Keen's is all about though. In total, we had a porterhouse for two, a couple of their signature mutton chops, and a few other dishes as well. Good eats all around! The porterhouse was perfectly rare - salty and a little crunchy on the outside, tender and juicy on the inside. 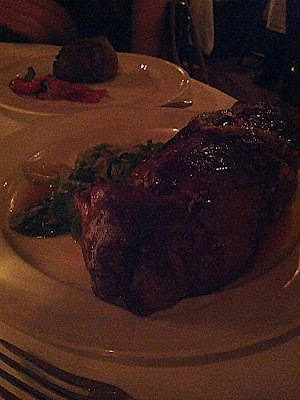 The mutton was also delicious - it had that great, game-y, lamb-y flavor... and was just as big as I remembered it being! For dessert, we shared a few favorites - the red berry bibble and the homemade butterscotch sundae (yes, they make the butterscotch themselves). Both were as good as I'd remembered - the bibble is like getting a glass full of fresh pie filling, and the butterscotch tastes of both butter and scotch (rather than the corn syrup flavor you get with the cheap stuff). And what kind of steak dinner would it have been without wine? Throughout the meal, we had a few bottles of Joseph Swan Vineyards 2006 Russian River Zinfandel. I think zins make for a great pairing with steak - and without the steakhouse Cab Sauv markup. This bottle was true to that promise - very reasonably-priced, and bold enough to stand up to some serious red meat. 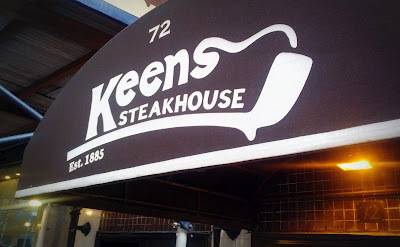 All in all, another fantastic meal at Keen's, and I can't wait to go back again soon! 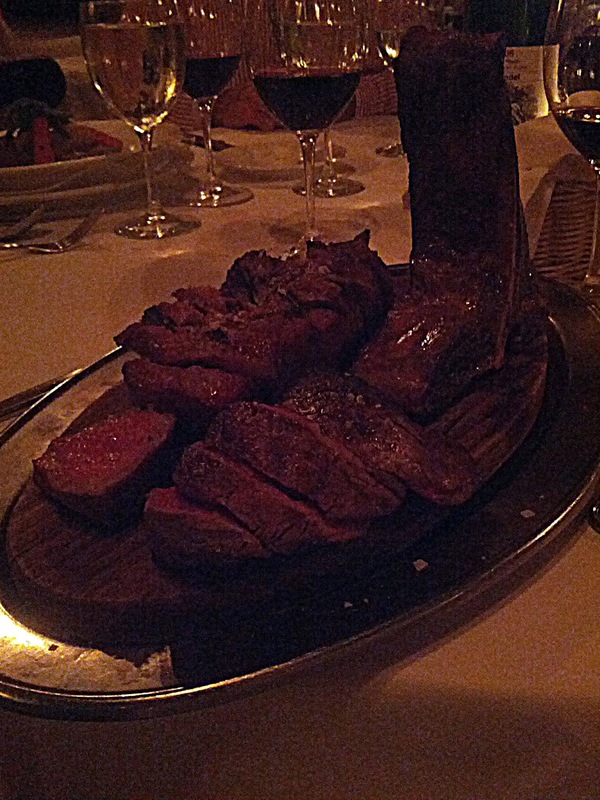 I'm always on the lookout for another great steakhouse - what are some of your favorites? Expensive. High $40s per person for the steaks, and that doesn't include any sides, appetizers, etc. The short ribs are a good deal though - "only" $32, and that comes with sides. We had one order at our table, and it was very good!